Talk about rusty...this blog is creaky from disuse. 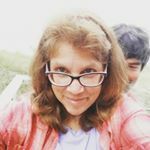 I seem to have migrated over to Instagram but cannot figure out how to post a link that way, so here I go back to blogger for the June 2018 Papertrey Ink customer blog hop. 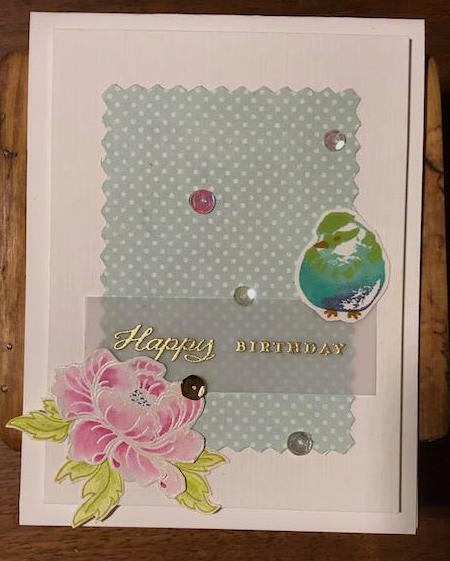 What I took from the inspiration photo was first, the summery feeling and so I created a summer scene with my card, using the stamps mainly in the background so the impression is very color forward. I loved the rainbow of colors in the inspiration photo that softly move from one shade to the next. I tried to move between colors in the background of the circle cut out portion of the shaker and then into the butterfly, from pink to orange, green, turquoise, blue and then purple, with Gathered Garden stamped in black as silhouettes to again, help the colors pop. There was a lot of busy activity in the background of the inspiration photo also, from the blueberries and other fruits. 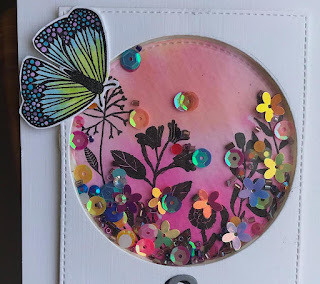 That is what prompted me to think shaker card and pulling the color scheme forward again, I used a rainbow sprinkle set from Lucy's, adding some purple beads to complete the rainbow. I am normally not a butterfly gal but I loved the mini set from Papertrey, A Bit More: Butterfly Blooms mini set and cannot seem to stop using it. Somehow I had missed the Grand Ampersand stamps and dies but I recently purchased that set and can see getting quite a bit of use from it for so many occasions. 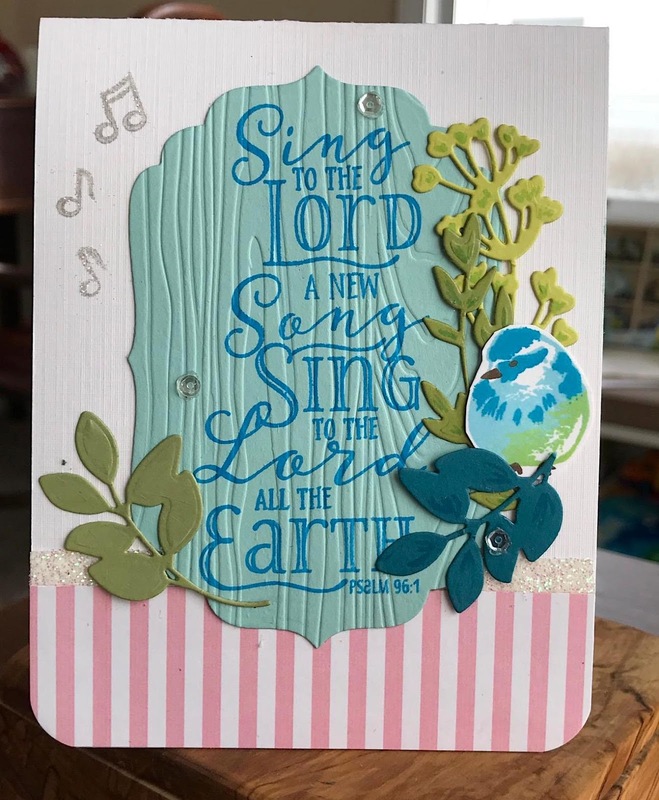 For this card I cut out the ampersand in weathervane and then again in black to help it pop a bit more and also to tie in to the gathered garden silhouettes within the shaker portion of the card. Thanks for looking and have fun hopping! Hi Peeps! Long time no post! My new job has kept me busy, busy, busy and I am rusty, rusty, rusty at card making. But I do love PTI products and I wanted to play along in the monthly blog hop. The inspiration photo is below. I was inspired by the checked tablecloth which dominates the foreground, but I wanted a bit softer look so I chose blue checked paper for the side of my card. 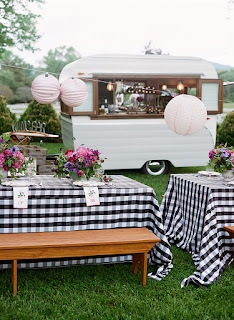 And rather than the flowers, I noticed the pale pink decorative paper ornaments hanging from the string over the tables. They made me think of peaches and peaches and picnic tables and gingham just seem to go together. I used that same pale pink in the die cut sentiment and stamped "you're a peach" in brown for the bit of wood around the vintage camper window. Thanks for looking. Happy hopping. Stamps: Papertrey Ink Still Life - Summer, white, pink sparkle and blue gingham paper; PTI inks in sweet blush, summer sunrise, pink peony, berry sorbet, autumn rose, green parakeet and simply chartreuse, ranger distress ink in gathered twigs, Other: Scar-Tape and glitter. Good evening! 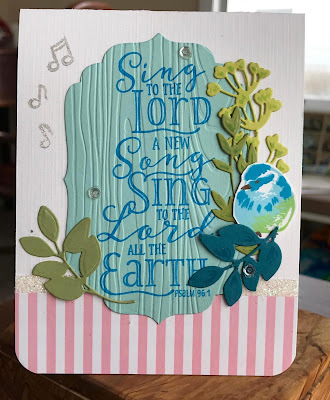 Today's Make it Monday challenge on Papertrey is by Laurie Schmidlin and the challenge is framing sentiments. I played with a few frames before I remembered this retired (I think) Spellbinders fancy frame, which I thought was a nice accompaniment for the brushed bird. I chose bright colors to be cheery for a friend facing cancer treatments (or perhaps another friend...haven't quite decided on the recipient) and tried to keep it simple. My last card was way too clunky and heavy. I am enjoying the Brushed Birds set, but I probably should break out of using the exact same bird each time. It is just so much fun though playing with color schemes! The last PTI anniversary challenge that I'll be able to submit to is the challenge to use stripes somewhere on your project. I am not happy with this card but have to quit fussing. Any suggestions for improvement are welcome. Not balanced? 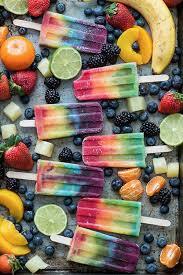 Colors not right? Ugh, don't you hate it when you fuss and fuss and it still doesn't come out the way you want it? Anyway, see the stripes on the bottom? There you have the challenge element. That's about the only part of the card that I like. :) And maybe the colors on the bird. I was TRYing to add texture when I ran the sentiment plate through with an embossing plate. I was TRYing to balance things when I put the musical notes on the upper left and added the last leaf cutout. I was TRYing to add a bit of interest to the diecuts by touching them up a bit with markers. Maybe I was trying too hard? 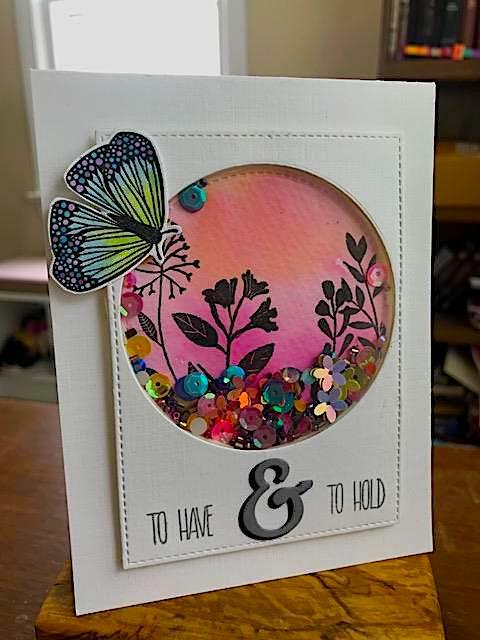 PTI stamps, Year of Psalms and Brushed Birds, Dies: spellbinders and PTI Gathered Garden; Inks: Distress tumbled glass, twisted citron and mermaid lagoon. PTI fine linen paper, a scrap of aqua and random greens, pink striped paper, glitter on scar tape and sequins. 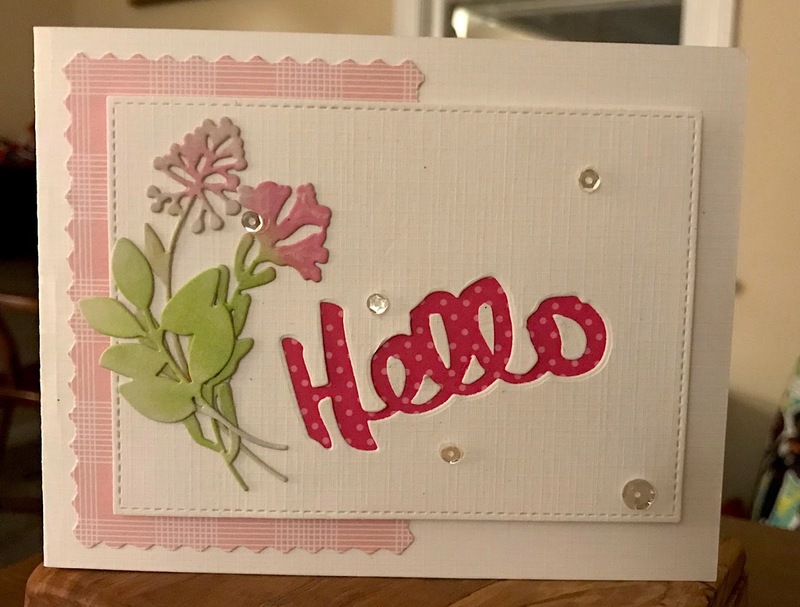 For this challenge, squeaking it in under the wire, we had to use dies only, no stamps. For this challenge, if anyone is looking to enter, it has to be done before 6:00 a.m. EST tomorrow! 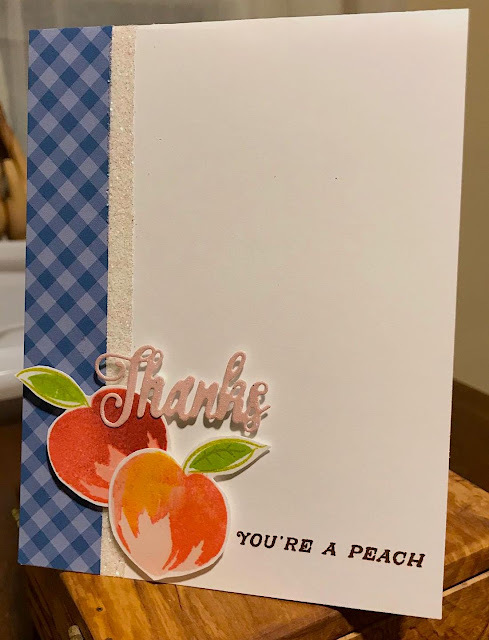 Cardstock: PTI bitty big, retired paper, soft stone, fine linen in white; dies: PTI "hello," gathered garden and Mix & Mat plaid, MFT stitched rectangle, distress inks for sponging and sequins. So happy to have a new job, but it leaves less time for creativity. I had a bit of time this weekend to participate in a few Papertrey Anniversary challenges. Eleven years! The first challenge card I have was supposed to use a set that is retiring. I chose Delightful Dahlia. I have fun with this set. 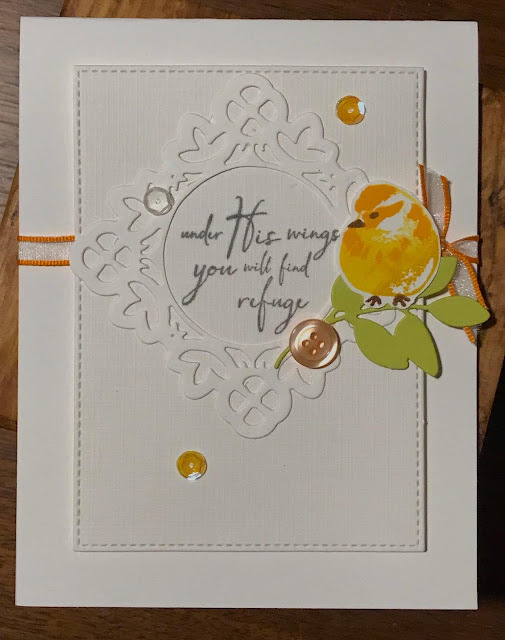 For this card I had a piece of cardstock where I'd been playing with some oxide inks and it just fit the stamp, which I then embossed in white and cut out. Did the same for the leaves, used a few distress inks, stamped and cut. 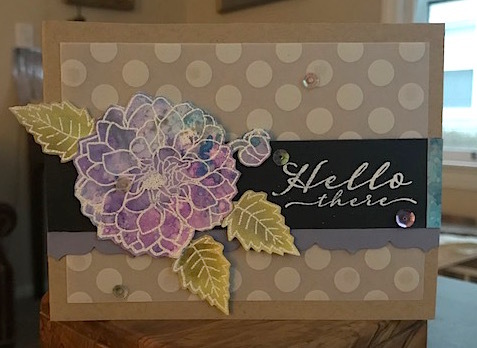 My second card is for the floral challenge. It uses Pretty Peonies, a previous Papertrey Ink anniversary set, also fun to color. The new anniversary set for this year is also a floral set and I'm looking forward to adding that to my cart next week. I also added a spare brushed bird I had sitting on my craft table, just because. Kind of looks like its floating with no purpose, but i thought it might help balance out that side. Thanks for looking. Have fun stamping! Hello! No time, ack! Had so much work to do today, didn't get to my craft table until late, late, late. So this is what you get with late. Lots of sequins for the confetti sprinkles and a cupcake because it IS a birthday photo after all. (It is, isn't it?) 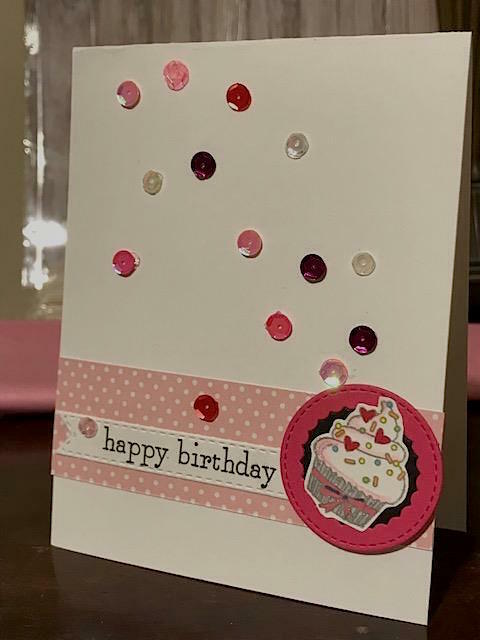 I dropped the sequins on the card four times to try to get a random pattern...don't know if it worked or not. Happy hopping! I will hop tomorrow if time permits!